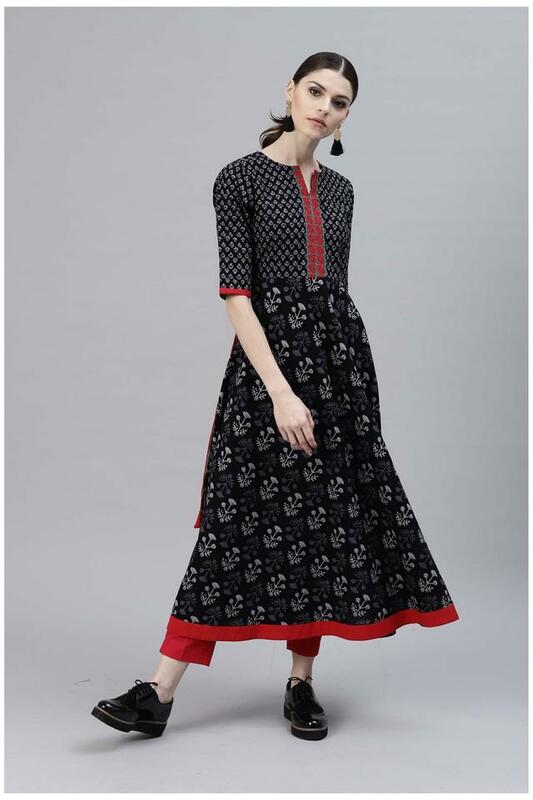 Step out in style by wearing this kurta from the house of Gerua. It features a printed pattern that renders it fashionable. Besides, it is tailored with a fine quality fabric that will provide you with optimum comfort. Featuring a notched neck, it also comes with elbow sleeves that add to the design. 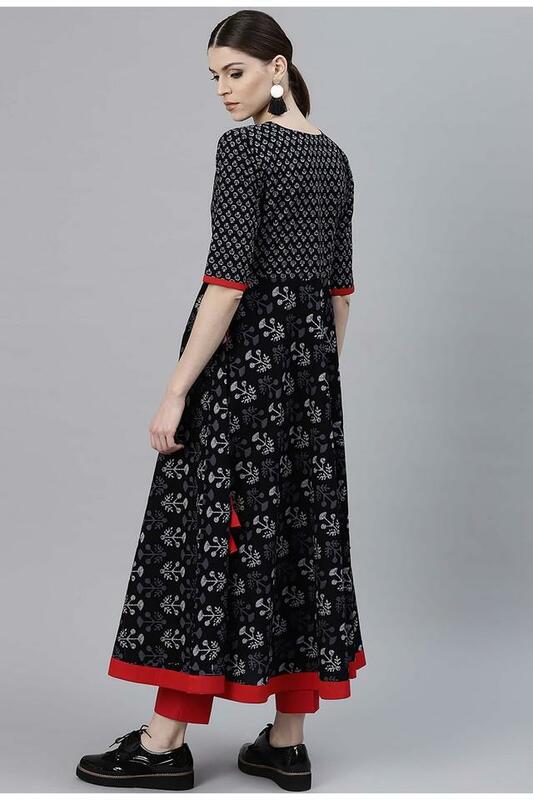 A perfect fusion of style and comfort, this printed kurta will be an ideal pick for casual occasions. It will go well with a pair of leggings and wedge sandals.